Exactly how does a person know when a sewer line is broken? 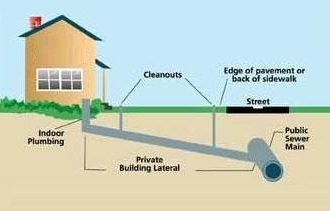 A broken sewer lateral is not easily detected and you might not notice that anything is wrong until you start seeing sink holes around your home, on the sidewalk or the roadway. This will cost you not only a lot of money, but also grief as you struggle to undo the damage that was made. Fortunately, there are a few sure signs that your sewer pipe is broken that you have to keep an eye out for and that can help you react fast by calling a professional to fix the problem. The sewer pipe is used to get rid of all the plumbing waste water away from your home. Naturally, this waste water has a far from pleasant odor. If you begin smelling something foul, especially near the drains and just outside your home where the sewer line is placed, you might be dealing with a leaky or broken pipe. This problem will not go away if you ventilate your house. Instead, call a plumber immediately to fix your sewer pipes. If you start noticing pools of foul smelling water around your property, this is another sign of a potentially broken sewer pipe. This usually happens in houses that have no basement and in which the drain lines are just under the floor. When a pipe gets broken, it will begin leaching out waste water. Before long, you will start seeing and smelling this water in your bathroom, kitchen, or anywhere else in the house. Every homeowner experiences a drain clog at one point or other. However, if the problem keeps coming back, then it is a good indicator that you have a serious problem at your hands. If all your efforts to unclog the drains have yielded little or no results, then there is a good chance that you have a broken sewer pipe. A professional can determine the exact location of the break by using a sewer camera and fix it for you. Call us at (925) 932-4023, (510) 352-2220, or (707) 644-7700 to schedule your appointment. We also invite you to see what people are saying about us on Yelp (click here) and please remember to “Like” us on Facebook (click here).